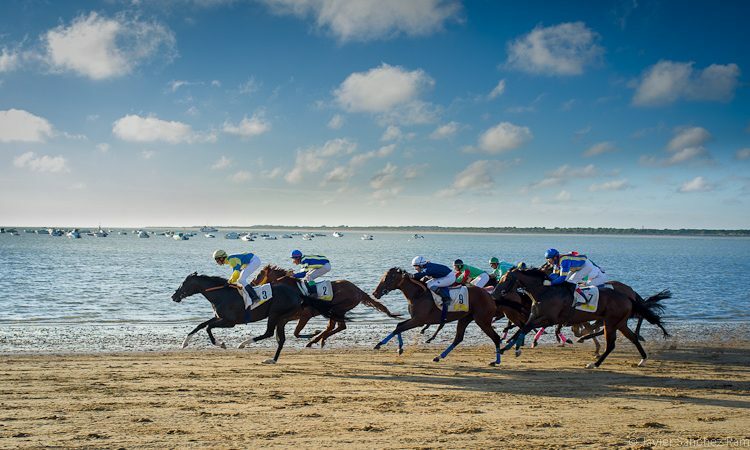 Sanlucar de Barrameda , every August since 1845, is noted for its Horse Racing which takes place on an 1800metre stretch of beach at the mouth of the Rio Guadalquivar. How the races began is unclear, some believe that fish buyers raced their horses along the beach as they waited for the trawlers to ring in the fish, another story is people raced their donkeys for fun and eventually upgraded to horses. Today these races are a professional and international event, boasting spectator stands, bookies, paddocks and the winners enclosure. This is a fun family evening out, where children dress up as totes on the each, taking bets in cash and paying out in sweets. Professional Horse Racing with a difference! Next Post:Teba, very historical with links to Scotland.